Freakin' sweet! Or as Peter would say, "Forcin' sweet!" 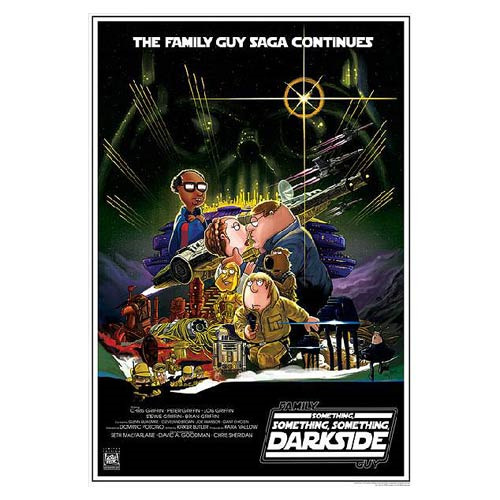 The Family Guy adaptation of the fantasy trilogy Star Wars took on The Empire Strikes Back in the season 6 episode, "Something Something Something Darkside." Recreating one of the film's iconic posters, this limited edition piece recasts with the fantasy classic with the Family Guy cast! A limited edition of 1000 pieces, each hand-numbered print measures 13-inches x 19-inches.